Do you spend your working days in an competitive work environment? Do you feel stuck in your career environment and doubtful you can ever change the situation you’re in? Are you looking for new ways to stand out and achieve success in a competitive employment market? Join Alan Kearns as he interviews Gary Noesner, former FBI hostage negotiator and author of Stalling for Time as they discuss how to be effective if you are asking yourself these questions. 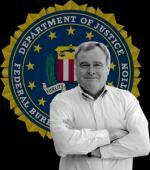 Gary Noesner retired from the FBI in 2003 following a 30 year career as an investigator, instructor, and negotiator. A significant focus of his career was directed toward investigating Middle East hijackings in which American citizens were victimized. In addition, he was an FBI hostage negotiator for 23 years of his career, spending the last ten years as the Chief Negotiator for the FBI. He retired as the Chief of the FBI’s Crisis Negotiation Unit, Critical Incident Response Group, the first person to hold that position. Following his retirement from the FBI he became a Senior Vice President with Control Risks, an international risk consultancy, and most recently spent five and a half years working a kidnap case involving three American defense contractors taken hostage by the FARC in Colombia, South America. He continues to do kidnap management consulting work for Control Risks part-time. Gary has three grown children and resides in Virginia with his wife, Carol.